A reader of ours attended ComicCon last week in San Diego and walked away with a handful of goodies that we are beyond jealous of. 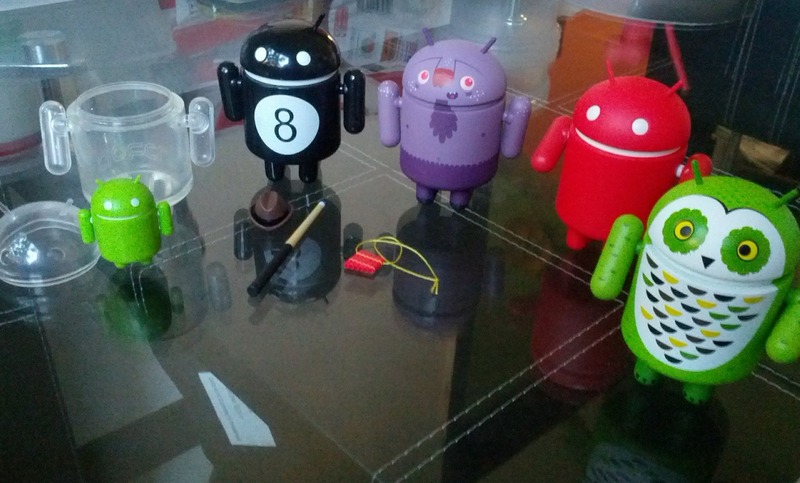 He kicked it with Andrew Bell for a few minutes before diving into a set of his new Series 3 Android Collectibles. We have seen these suckers leak in blurry or rendered pictures here or there, but these are pictures of 5 of the new designs from the set in the wild. How cool is the see-through Bugdroid with the mini Bugdroid inside? 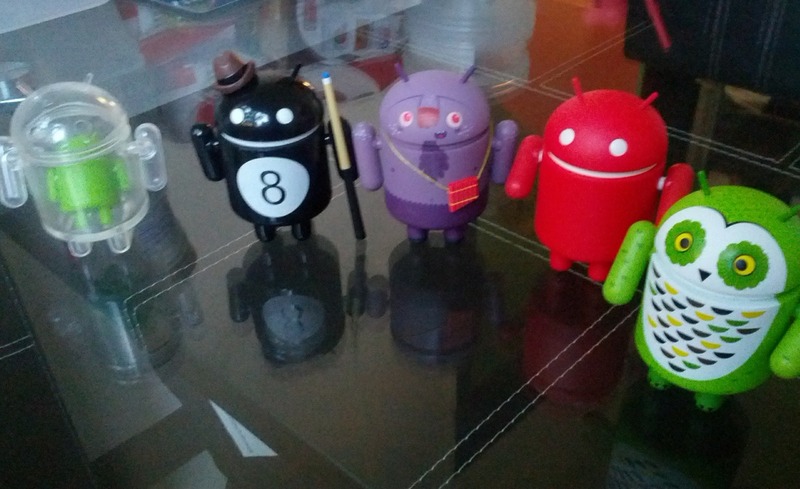 8-Ball Bugdroid with included pool cue and hat? The owl? This is only 5 of the 16 and we are blown away, so you can imagine how anxious we are to see the rest. Said to be launching some time in late July, we cannot wait to get a hold of a couple of cases.